Surgical treatment for gum disease may be necessary if your periodontal infection is too advanced or if deep periodontal pockets persist after conventional periodontal therapy. Access to deep periodontal pockets can be made difficult by overlying gum. 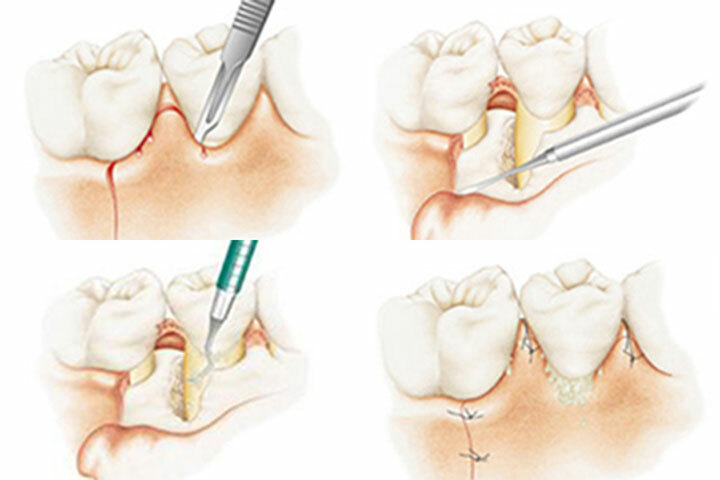 Surgery to retract the gum will provide direct access to the root surface and underlying bone, so a thorough clean can take place and the source of infection removed. Surgery can be comfortably performed under local anaesthesia, but, if preferred, we also offer the option of general anaesthesia.